Stoicism is not the sort of philosophy that can be expressed in a few quotes. 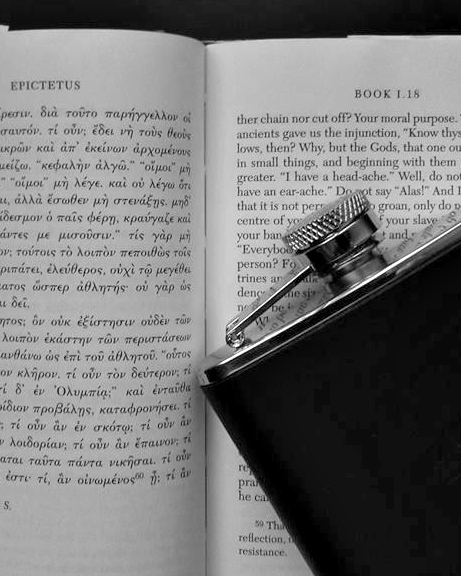 The ancient Stoics redefined common words, created new terms, and had an expectation that their students would study, study, and study some more before really absorbing the Stoic perspective. Does this mean we can't benefit from a less rigorous approach to the Stoic philosophy? Not at all. Stoicism helps people. And yes, there are many succinct Stoic quotes that do get across their point very well. But for every, "People are not upset by things, but by their judgments about things," there's a line about your wife and child dying and how that shouldn't matter. I'm just saying that without some guidance, it's easy to stumble over Stoicism's complicated and sometimes quirky ideas. Stoicism Today just posted, Common Pitfalls for Inexpert Stoics by Rymke Wiersma. It's a useful guide to, well, common pitfalls. If you are new to Stoicism, or simply want to make sure you haven't drifted of the path, this article is worth reviewing. Posted in Stoic Basics, Stoic Week. November 25, 2014 by Matt Van Natta.